March | 2012 | The Race Dr. Since Rusty Wallace won the spring race here in 2004 only five drivers have won at this track. That’s 15 races & only five different winners! My #5 pick is one of them, #24 Jeff Gordon. Jeff’s seven wins make him the winning-est current driver at this track. Jeff has 38 starts, seven wins and 25 Top 5’s. Thirteen of his last 14 stops here were Top 5 finishes, giving him a #2 highest average finish. His last win here was in 2005 and he has come so very close he can almost taste his eighth win. The #4 pick is winless at Martinsville, #88 Dale Earnhardt Jr. Jr. has nine Top 5’s in 24 starts and finished second in this race last year. He is currently third in points and ranked #4 hottest over the last six races. My #3 driver surprised many by getting his first win here in this race last year, #29 Kevin Harvick. Kevin has 21 starts, one win and three Top 5 finishes. His three Top 5’s came in his last three starts. My #2 driver is close to passing Jeff Gordon for career wins here, #48 Jimmie Johnson. Jimmie has 20 starts, six wins and an incredible 14 Top 5’s. Every race but two was a Top 10 finish. His last win at this race was in 2009, but he hasn’t forgotten how to drive here and based on last week it looks like he may have his horseshoe back. My #1 driver once had three straight wins here, #11 Denny Hamlin. Denny has four wins here and they all came in the last eight races. Denny has 13 starts, four wins, and nine Top 5’s. While Denny didn’t get a win here last year, his new crew chief, Darian Grubb, did. Monday April 9th look for our preview of the Samsung Mobile 500 from Texas. For the fifth week in a row we find Roush Fenway Racing at #1. Stewart Haas Racing stay at #2. Richard Childress Racing hold at #3. Joe Gibbs Racing also stay in place at #4 again this week. Hendrick Motorsports move into the Top 5 at #5. Michael Waltrip Racing slip two spots to #6. Furniture Row Racing move up two spots to #7. Earnhardt Ganassi Racing drop a spot this week to #8. Penske Racing also slid a spot to #9. Richard Petty Motorsports hang in the Top 10 again this week at#10. Wednesday look for out Top 10 drivers on short tracks. Spring short track race #2. Like Bristol Motor Speedway this is a half mile track, but that is where the similarities end. This track has less banking on the turns than Bristol has in the front stretch. Flat and shaped like a paper clip, we’ll see the less seasoned drivers start to lose their brakes about three fourths of the way through the race. Brakes, patience and bumpers will be in short supply in the last 100 laps. In the last ten years the Hendrick guys have won 10 of 20 races. Jeff Gordon alone has won here seven times and his teammate Jimmie Johnson has won five. Foremost on their minds though is the fact that they have come up with no wins in the last five races. Will Hendrick Motorsports find their way back to victory lane? We’ll find out Sunday. More short tempers, more chrome horns, and more wrecked sheet metal are about the only things you can bank on at the short track that lacks serious banking. Tuesday we’ll rank the Top 10 Owner Teams. My #5 driver is coming off a great run at Bristol, #17 Matt Kenseth. Matt is equally excited to get here where he has 19 starts, three wins and eight Top 5’s. Matt has the 2nd highest average finish here and his team Roush Racing has seven wins here. The #4 pick won here last year, #29 Kevin Harvick. Kevin used to struggle here but lately has found the winning formula. Kevin has 18 starts, one win and just three Top 5’s. More importantly his last four stops were all Top 10’s. The #3 driver also finished in the Top 10 in his last four stops, #15 Clint Bowyer. Clint is a great downforce track driver and his team Michael Waltrip Racing has really stepped up this year. Last week all three Waltrip cars had Top 5 finishes. My #2 pick is the best driver on these downforce tracks, #14 Tony Stewart. Tony has 20 starts, one win and five Top 5 finishes. Tony’s win came in the fall of 2010. He is #1 hottest over the last six races. Tony is happy to be in a Chevy here, where the last four winners wore the bow tie. My #1 driver to watch has the highest average finish here, #48 Jimmie Johnson. Jimmie has 17 starts with five wins and 12 Top 5’s. His last win at this track was in 2010. His last nine races were all Top 10’s, with eight of those being 3rd place or better. Jimmie’s team, Hendrick Motorsports, has nine wins in the 23 races run so far at California; the most of any owner. 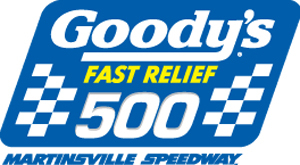 Monday we’ll preview the Goody’s Fast Relief 500 from Martinsville Speedway.